The second school where I tried to pick up a little learning was an irregular hit or miss affair at San Mateo. Each class sat in a separate desk, but there were days when we did not sit at all, for the master used to get drunk very often, and then one of the elder boys would thrash him. To even things up, the master would then thrash the younger lads, so you can think what sort of school it was. There was no one belonging to me, or associated with me in any way, who had literary tastes or ideas, the nearest I can make to it is that my great-grandfather was a circuit writer, a Welshman, known as "Priest" Jones in the backwoods, where his enthusiasm led him to scatter the Gospel. My other reading-matter at that time consisted mainly of dime novels, borrowed from the hired men, and newspapers in which the servants gloated over the adventures of poor but virtuous shop-girls. Before I was eleven I left the ranch and came to Oakland, where I spent so much of my time in the Free Public Library, eagerly reading everything that came to hand, that I developed the first stages of St. Vitus' dance from lack of exercise. Disillusions quickly followed, as I learned more of the world. At this time I made my living as a newsboy, selling papers in the streets; and from then on until I was sixteen I had a thousand and one different occupations--work and school, school and work--and so it ran. My first book was published in 1900. I could have made a good deal at newspaper work; but I had sufficient sense to refuse to be a slave to that man-killing machine, for such I held a newspaper to be to a young man in his forming period. Not until I was well on my feet as a magazine- writer did I do much work for newspapers. I am a believer in regular work, and never wait for an inspiration. Temperamentally I am not only careless and irregular, but melancholy; still I have fought both down. The discipline I had as a sailor had full effect on me. Perhaps my old sea days are also responsible for the regularity and limitations of my sleep. Five and a half hours is the precise average I allow myself, and no circumstance has yet arisen in my life that could keep me awake when the time comes to "turn in." 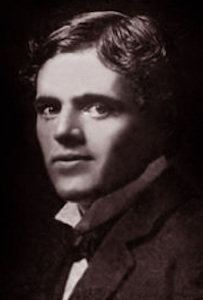 Add Jack London, by Himself to your own personal library.